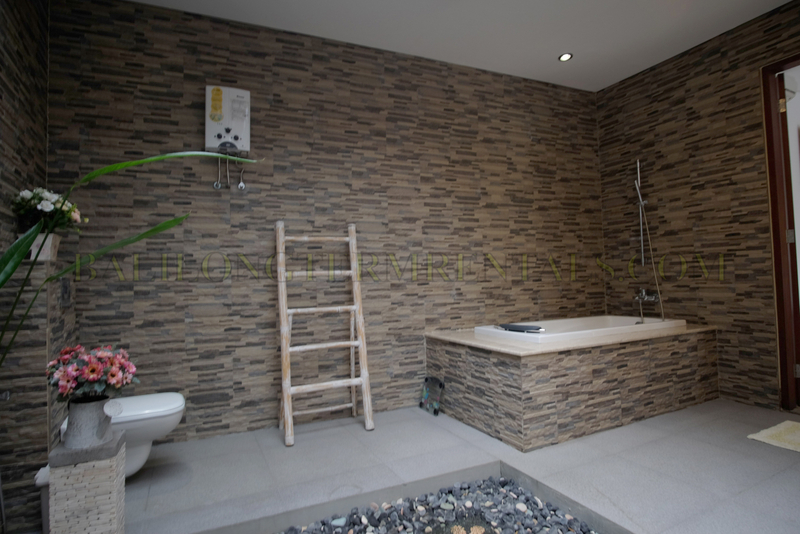 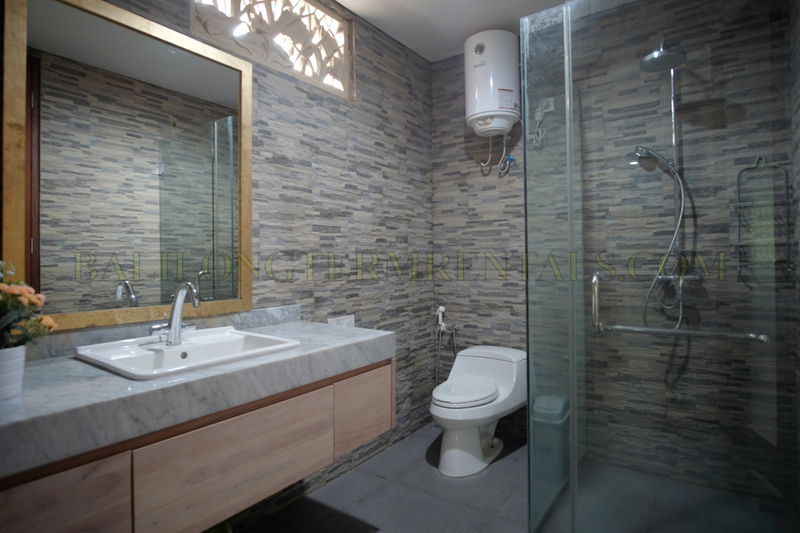 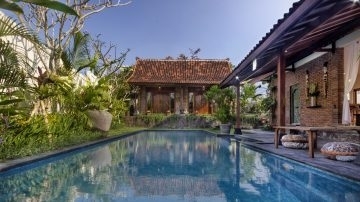 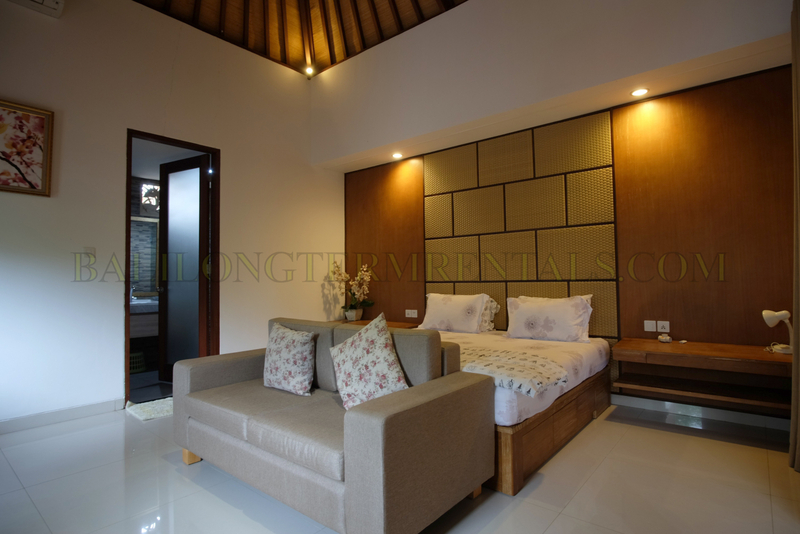 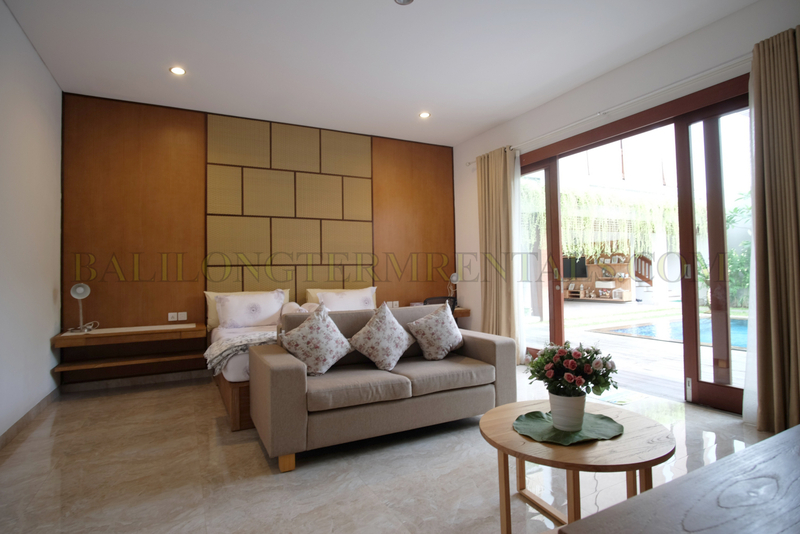 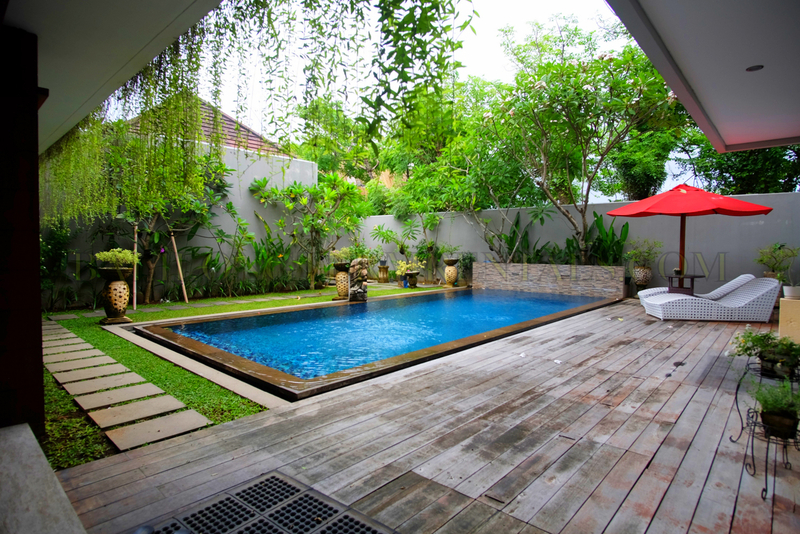 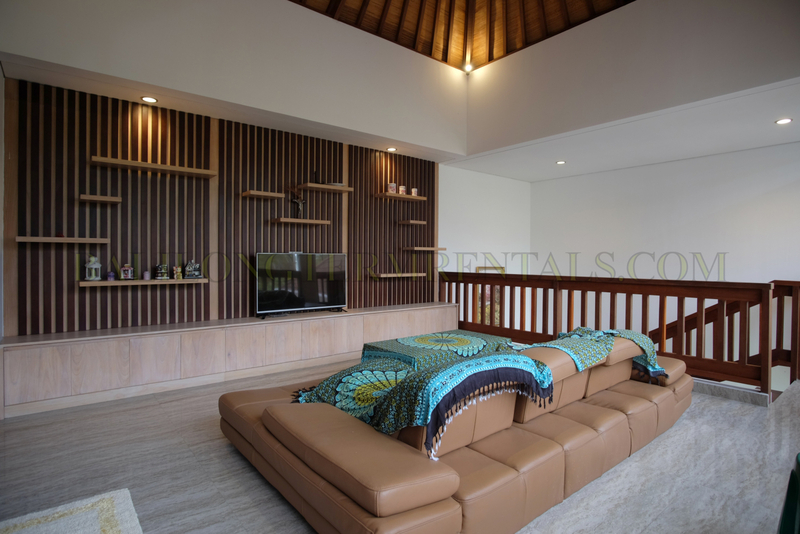 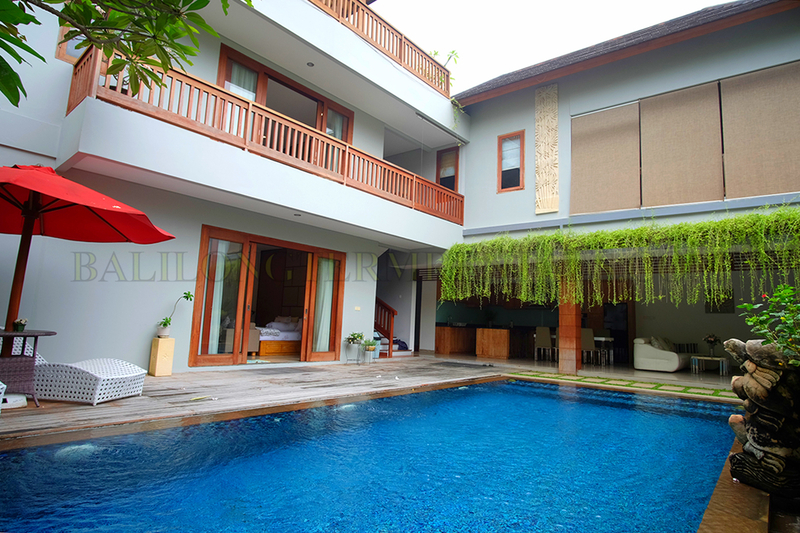 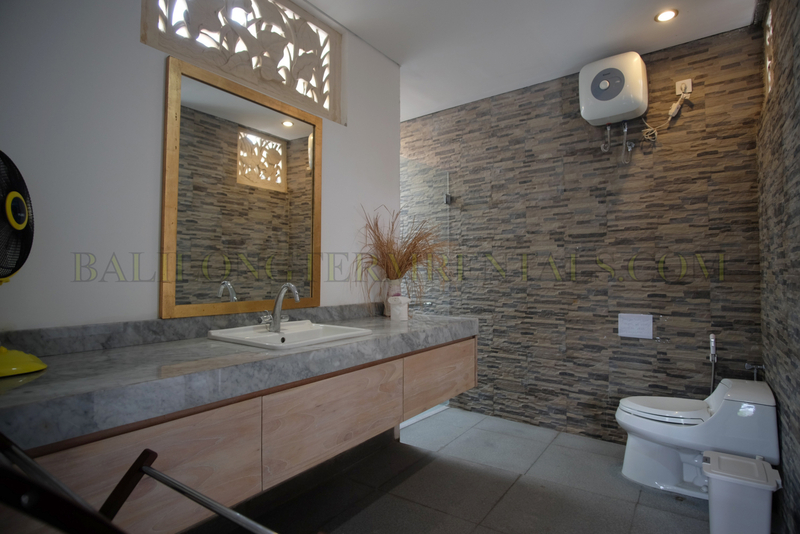 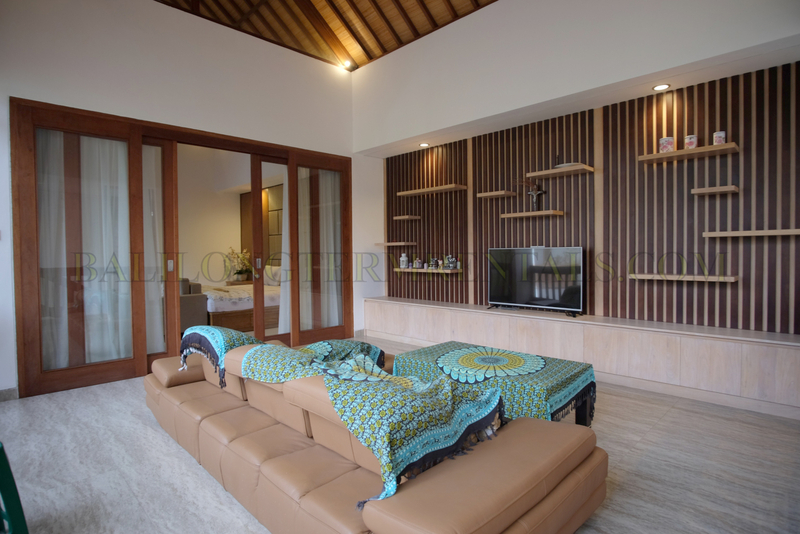 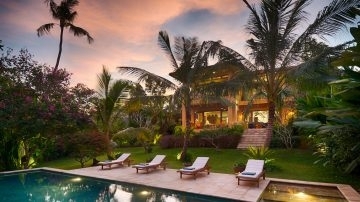 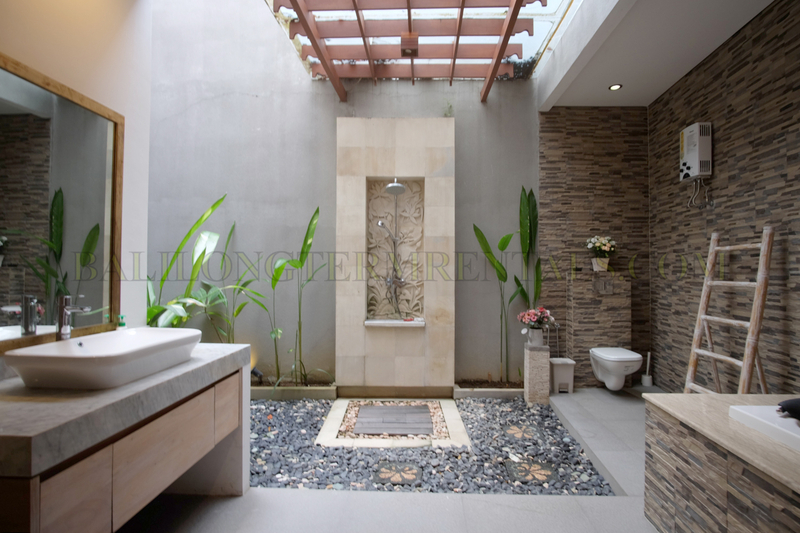 This premium villa is located in the highly desirable area of Berawa. 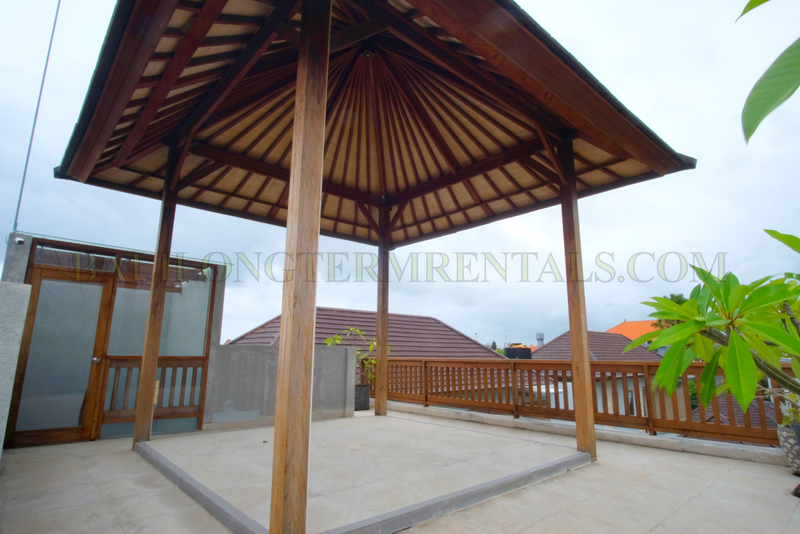 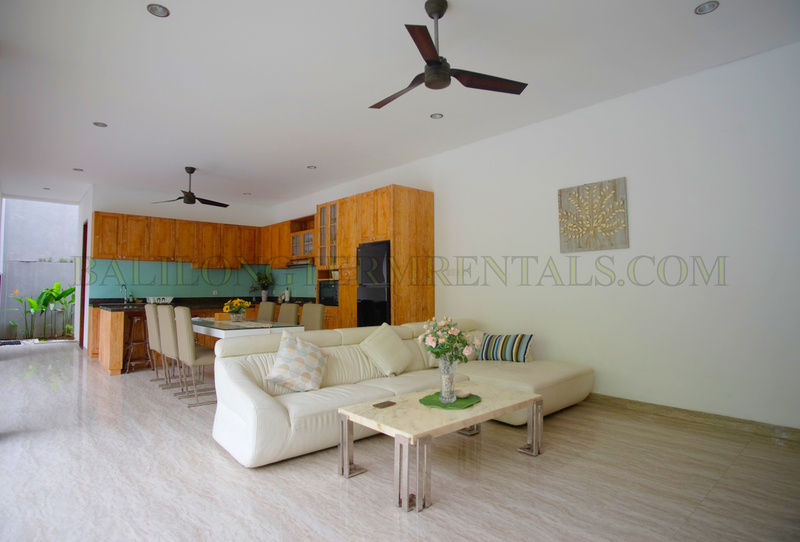 Within walking distance to the famous Berawa Beach. 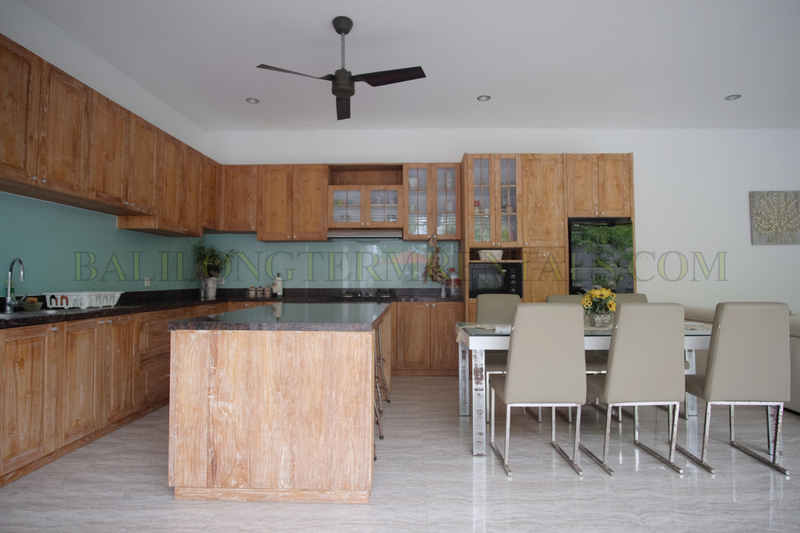 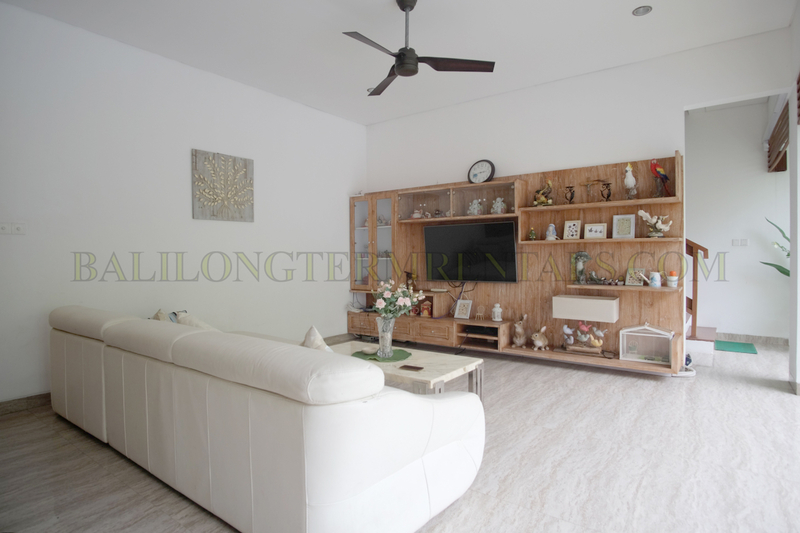 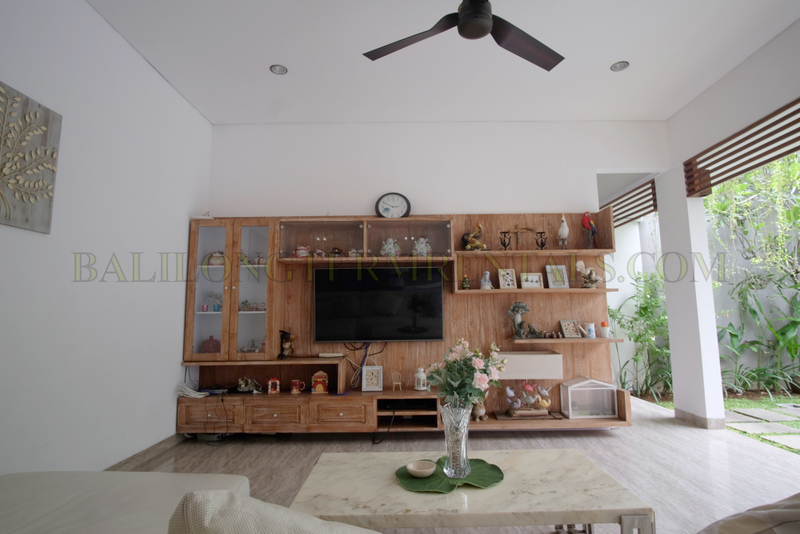 On the ground floor, there is a fully equipped western style kitchen, dining area and open living area. 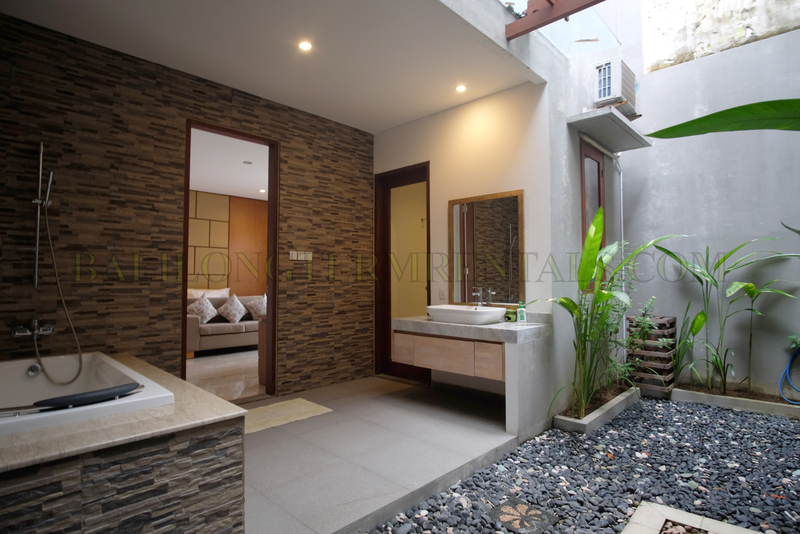 The master bedroom facing pool and has an en suite beauty bathroom. 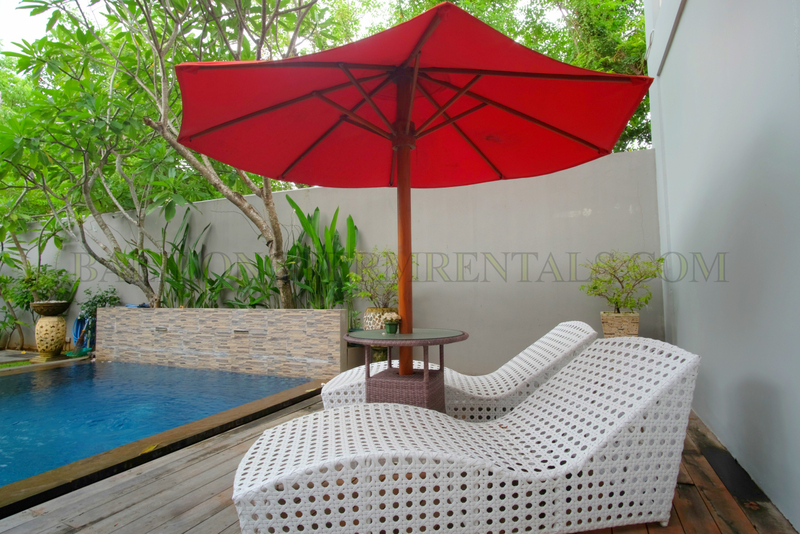 Outside, the timber decking area is perfect for sun chairs and lounge space, along with a pool and ample garden space. 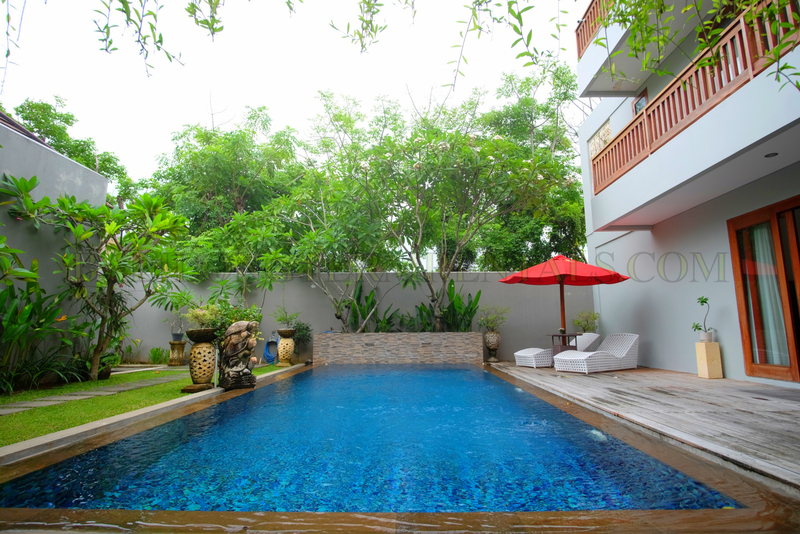 Moving to the second floor there are 2 bedrooms; All bedrooms upstairs overlook the garden and pool area. 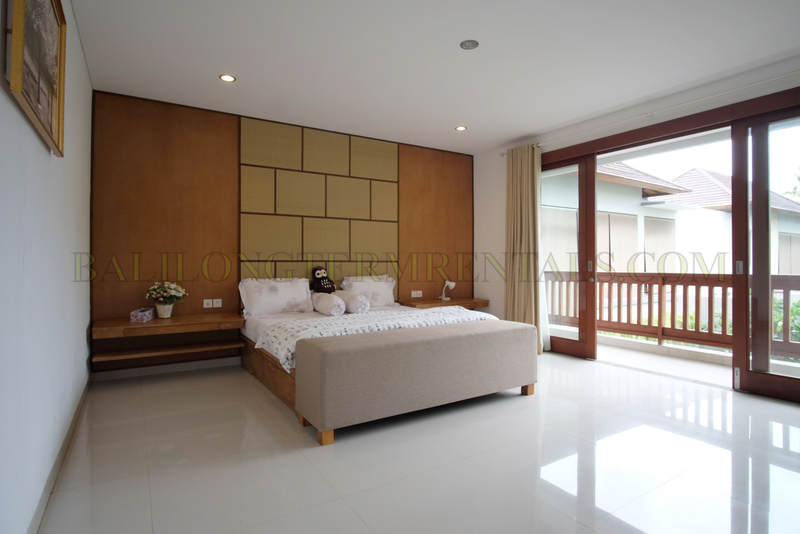 All bedrooms come complete with built in wardrobes, en suite bathroom and air conditioning. 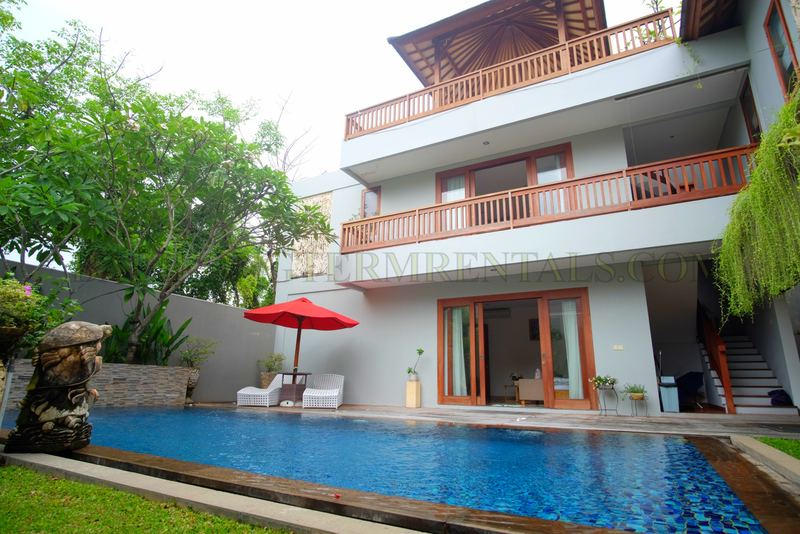 Family Villa – All Beautiful! 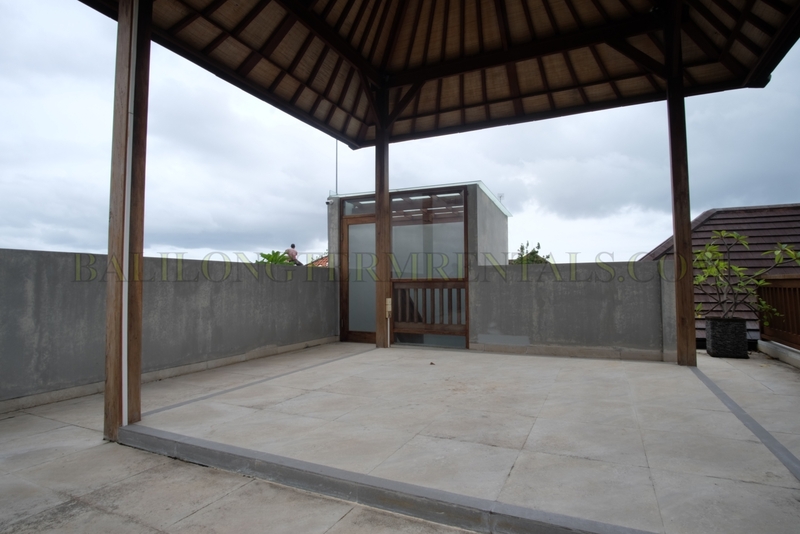 At the rooftop – 3rd floor, you can see the panoramic view of Berawa area with your rooftop BBQ, lounge and party area. 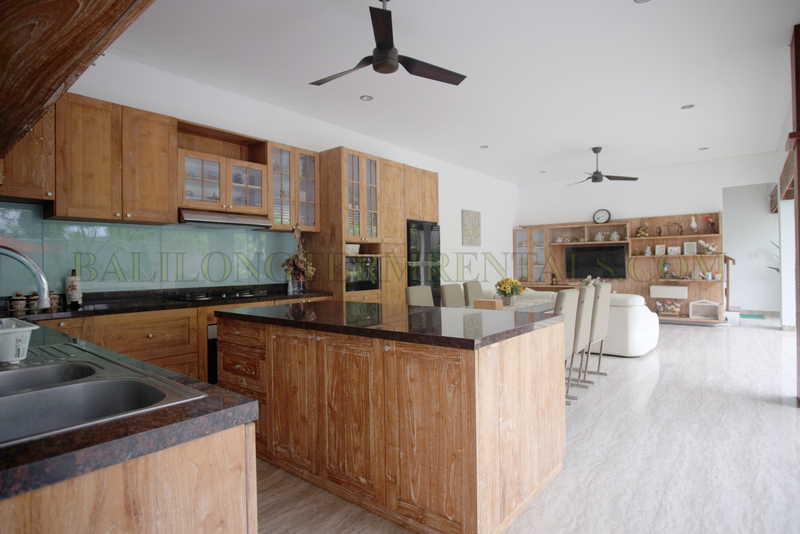 Using high quality materials and built to Western standards, this property is not to be missed!